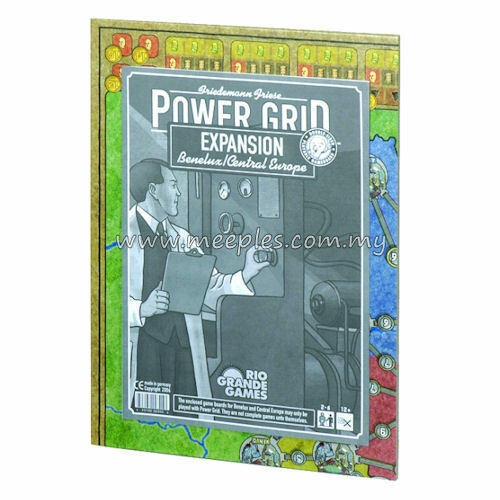 Two new maps for Power Grid: Benelux on one side of the gameboard and Central Europe on the other. Along with the maps are small rule changes to reflect the power culture in these two countries. As the Benelux countries support ecological power, players may have greater opportunities to acquire such power plants. Also, oil is more available and coal less available in these countries. As Poland has large coal supplies, coal will be much more plentiful then elsewhere in Central Europe. However, due to political stands taken by some countries, players may be limited in their access to nuclear power. The result is not just new maps, but new ways to play this great game!